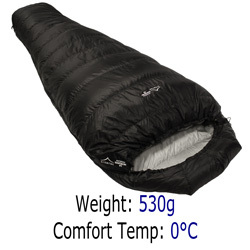 If you are hiking, trekking or backpacking during the spring, summer and autumn you will need a sleeping bag capable of keeping you warm in 3 season conditions. 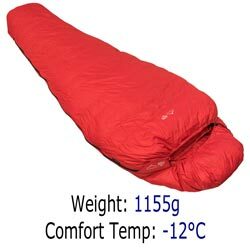 The night time temperature when you are 3 season trekking in the United Kingdom could well be a few degrees below freezing. 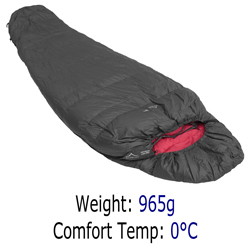 Our sleeping bags that are suitable for 3 season trekking come from our Ultralight, Quantum, Lady, Traveller and Prime ranges, with minimum comfort temperatures from 0°C down to -12°C. The best sleeping bag for you will depend upon how warm or cold it is likely to be when you are trekking and how cold you get when you sleep. 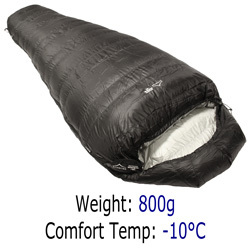 All of our sleeping bags have excellent warmth to weight ratios and pack down to a small size. 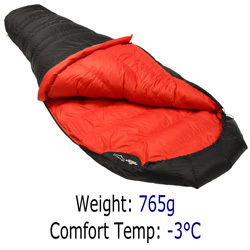 This table's headers are fixed and its content can be scrolled left to right and up and down. 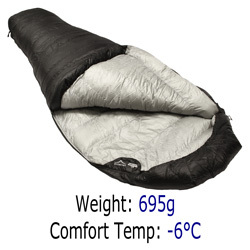 the filling is Polish goose down. 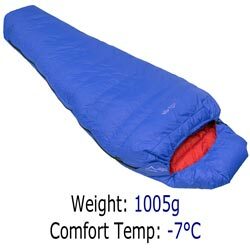 the FILL VOLUME is a measure of the TOTAL insulating power of the sleeping bag.